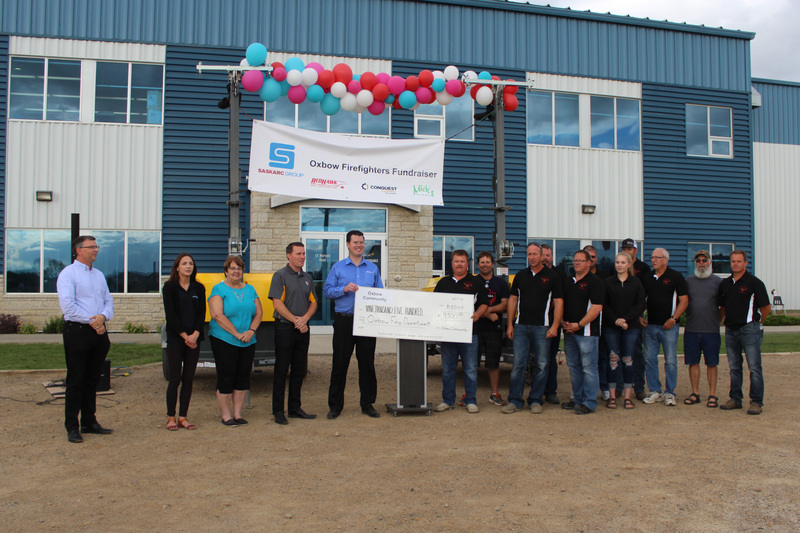 On July 31, 2018, the Saskarc Group, along with Redhawk, Conquest Equipment, Mick’s, Spearing, Bow Wood and Mayco, with donations from the community, collectively donated over $11,000 to the Oxbow Fire Department. The cheque was presented to the Oxbow Fire Department at a BBQ Fundraiser event held on July 31st, where long-service awards were presented to two Oxbow Fire Department members. Around 300 members from the community showed up to enjoy a BBQ and various other activities along with the long-service awards. The Oxbow Fire Department is comprised of volunteer firefighters who provide invaluable fire and rescue services to the town of Oxbow and surrounding communities. Saskarc Group is proud to support community organizations like the Oxbow Fire Department that provide essential services for the community.